James Cooter from The Hedonist was the lucky recipient of a free RVC sign, thanks to MVGWTA. How do you balance the protection of your vines with wine tourism? That’s the question vineyard owners in wine tourism areas grapple with daily. Do you only allow vineyard tours under controlled conditions? Do you have signs and fences up to control the flow of people around your property? Do you offer an elevated area away from vines for photos? Do you talk to visitors about how they can help to keep your vines healthy? Or do you do nothing and just hope that phylloxera isn’t tracked into your vineyard on the shoes of an unwitting tourist? South Australia is phylloxera free, but the pest is just across the border in Victoria, as well as in New South Wales and many other parts of the world. 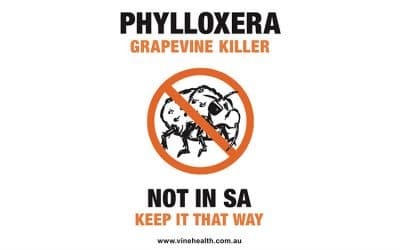 Only one asexual bug is needed to start an outbreak, and phylloxera is a tough little pest that can live in a tiny soil particle on a shoe or vehicle tyre for up to three weeks without food. 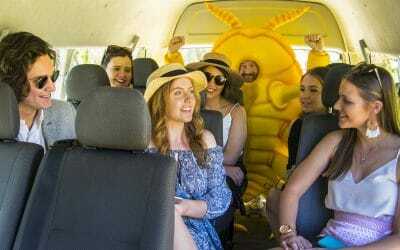 When you consider that 44% of women and 28% of men will walk into a vineyard to take a selfie or two while on a wine tour (Vinehealth Australia research 2017), the risks are obvious. 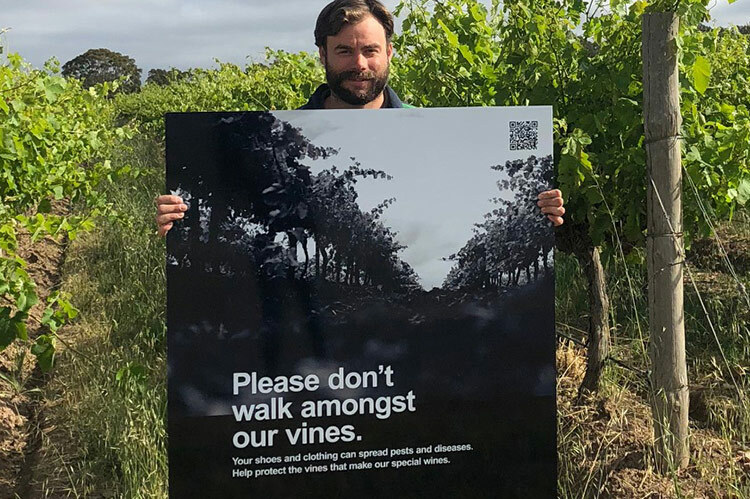 To assist with the protection of South Australia’s $2.35 billion wine industry, Vinehealth Australia runs the popular Responsible Visitation Campaign, which includes the Wine Tourism Biosecurity training program, delivered for free to cellar door and tourism staff around the state. So far, Vinehealth Australia training manager Hayley Conolly has delivered training to dozens of cellar door and tourism staff in Coonawarra, Barossa and McLaren Vale. In February and March, Hayley will run training sessions in the Adelaide Hills, Langhorne Creek, Clare and Riverland. To register your interest in attending a session, email Hayley at training@vinehealth.com.au. The Responsible Visitation Campaign also includes a suite of healthy vines materials, including large metal signs for driveways, walkways, carparks and walking/cycling trails, adverts in regional visitor guides, articles in tourism publications, the Who’s Hitchhiking With You? video and more. 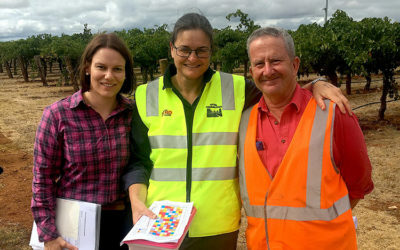 And throughout the campaign, Vinehealth Australia CEO Inca Pearce and RVC manager Cindie Smart are visiting councils and regional development groups in wine regions to discuss biosecurity pressures and initiatives. 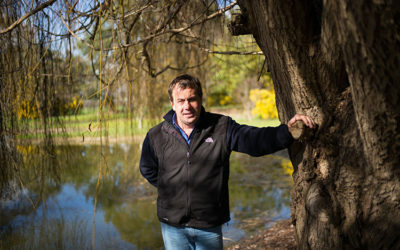 “We’re hearing consistent issues across regions, for example, how to deal with cycling tracks that pass through or near vineyards, how to bring together biosecurity planning with development and the need for more consistent and responsible promotional campaigns that don’t show images of tourists in vine rows,” said Inca. 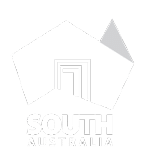 Regional associations have been very supportive of the RVC, assisting with training for cellar door staff in their regions, subsidising signs for cellar doors and more. For example, McLaren Vale Grape Wine and Tourism Association has purchased RVC signs and is regularly giving them away to vineyard owners. In October, James Cooter from The Hedonist (pictured) was the lucky recipient of a free sign, thanks to MVGWTA. 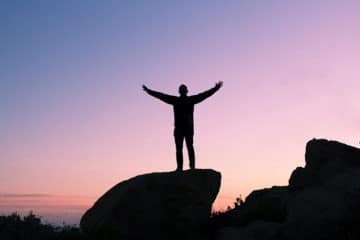 To learn more about the Responsible Visitation Campaign and how to keep your vines healthy, click here. And click here to read the recent article by Wine Communicators Australia about the Responsible Visitation Campaign.